Bernadette joined as Membership Services Manager in April 2012. She has a comprehensive background in sustainable development having designed and managed a range of strategic economic and community initiatives. Prior to joining, Bernadette managed an EU funded business development programme for the renewable energy sector. 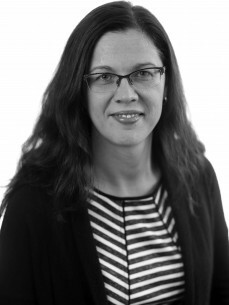 She has extensive expertise in building partnership initiatives, engaging in policy development and advocacy, and sourcing national and EU funding given her roles in the Western Development Commission and the Kilkenny LEADER Partnership Company. She holds a Masters in Rural development from UCD, a BA (mod) in Economics and Geography from Trinity College and an Advanced Certificate in Renewable Energy from Limerick IT. Bernadette leads the CSR Adviser team and manages the portfolio of network services and projects. Bernadette also sits on the National Action Plan on CSR and represents Ireland at European level at CSR Europe.